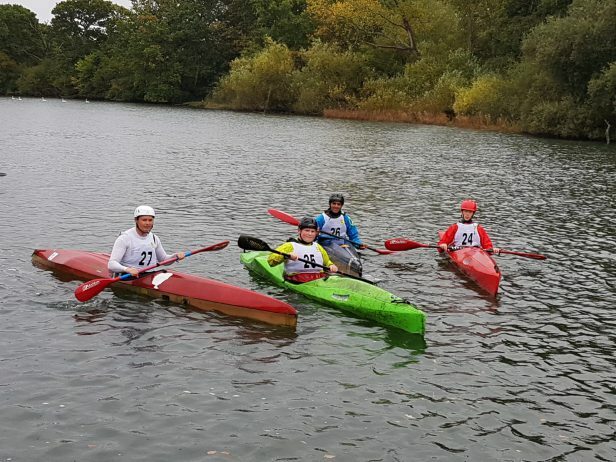 A small team of 4 traveled down to Fairthorne Manor on Saturday (6th October) to enter one of the first Wild Water Races of 2018/19 season, it was a Classic Race, of about 1 mile on the river Itchen, just outside Southampton. The Race was a ranking Regional Race, Part of the National Wavehopper Challenge (for those who qualified – using Wavehopper of slalom boats). The race is also part of the Southern Series of Wild Water Races. First home for The Sharks was James Read in a time of 8 minutes and 31 seconds coming in third place in the Men’s K1 race. Jacob Simpson came in in joint 6th place in a time in 9:10, 2nd Under 18-year-old and second under 18 Wavehopper. Samuel Liddy came 11th in a time of 10:09 and 1st Under-16 and first under-16 Wavehopper. Khaleel Zainddin was 12th; 10:22, and third Under-18. This is a great start to The Sharks getting back into Wild Water Racing and a great start to the season. We need to build the Club up and we need more paddlers, so why not come along and give it a try? 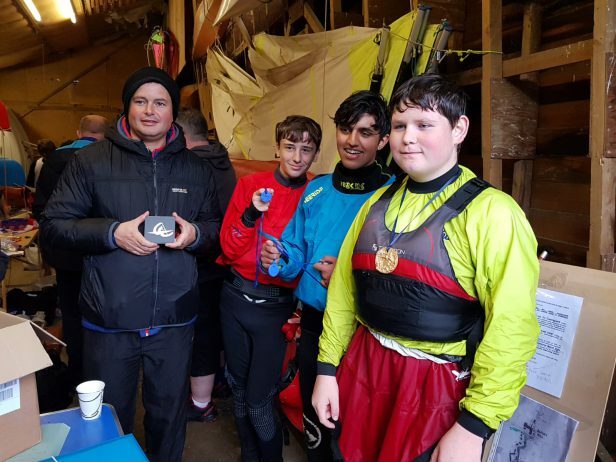 Report of race on British Canoeing Website. Entry level races, are often on rivers that are twist but not rough so a great chance to have some fun and gain some great experience. If you want to give it a try come along to Harefield on Thursday evening at 5pm or Havelock on a Tuesday evening at 5pm. For more information email: canoeing@thesharks.org.uk or call 07951 770241. Whilst you are reading this, we need your help. 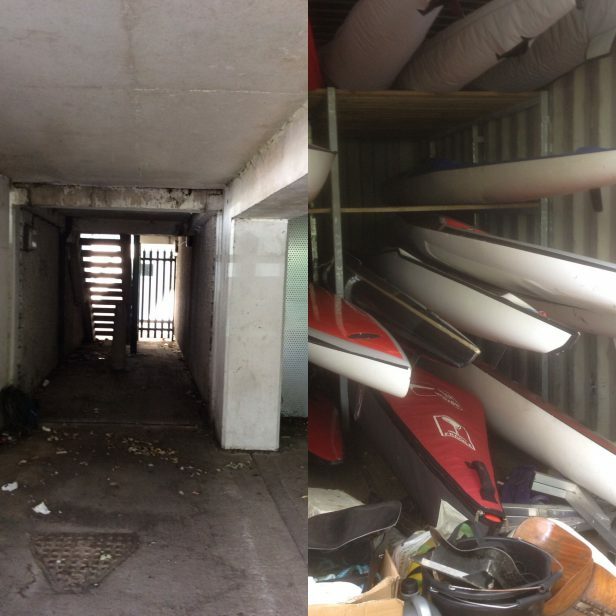 The Sharks are working with Catalyst Housing and Ealing Council on a project which will bring some fantastic facilities in Southall and we need your help to make them happen. Please take a look at our page: www.thesharks.org.uk/an-inspirational-base.